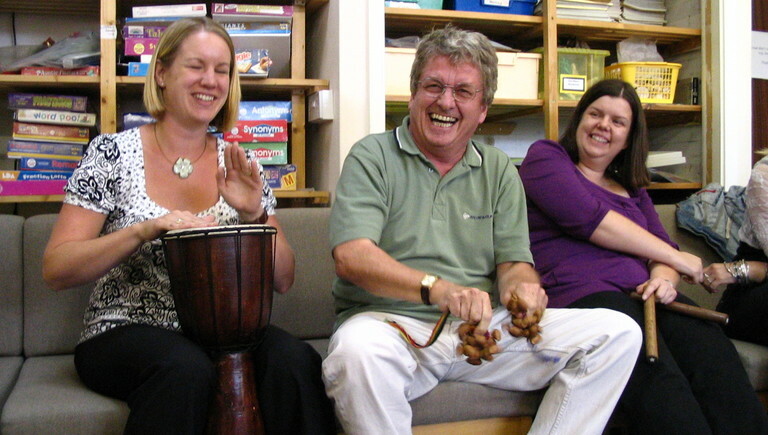 Here are some Top Tips for Music Teachers. Let us know what you want Top Tips on! 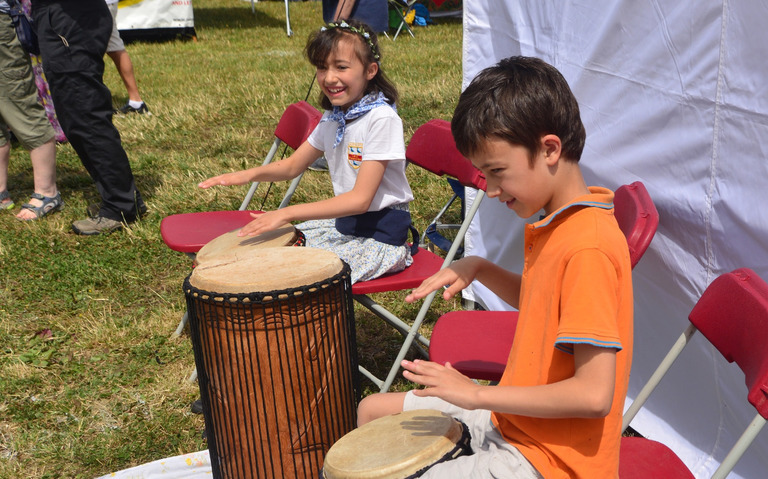 Cultural Education is seeing increasing investment and acknowledgement within the curriculum. In London, the Arts Council, England, (ACE) is funding the Cultural Education Challenge, a £900,000 programme designed to bring about an improvement in the engagement of young people in the Arts over the next three years. We mentioned the ACE Challenge in our July newsletter, where we included a downloadable activity sheet to inspire summer activities. 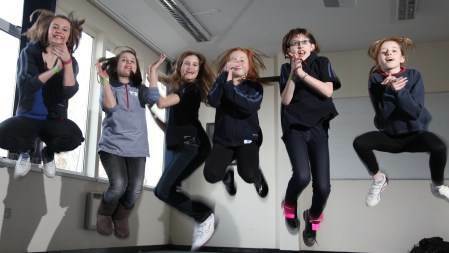 It is a push towards inclusive Arts education, described on the ACE website as a mechanism “to make sure that more children and young people can create, compose, and perform; visit, experience and participate in extraordinary work, and be able to know more, understand more, and review the experiences they’ve had.” Follow this link for further information. 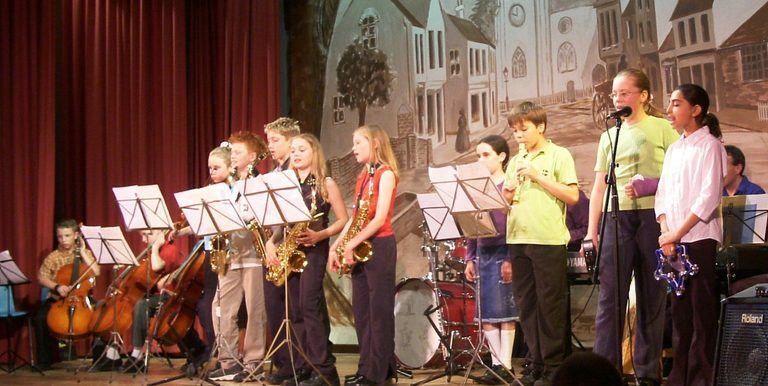 Invite a local musician to introduce your school concert or appear as a soloist. Involving a well-known personality will not only inspire students, it will help bring in interest from local media and raise the profile of your event. You could also invite a local dignitary or local artist or musician to open an art exhibition or to attend the first night of a show. Organise for students to do interviews on local radio about concerts, shows, plays, dance performance or art exhibitions. The experience and excitement of appearing on radio will be a great motivator for young people and add confidence and commitment to the project. Links to local BBC Radio channels are listed here. Write to Elaine Paige on Radio 2 if you are putting on a show. Ensure you get listings on local websites and in local newspapers for all Arts events. As soon as students can see that their work has a wider reach than the confines of the school, they will get added satisfaction and excitement. An excellent resource for every aspect of raising the profile of the Arts – the Teacher’s Toolkit by A New Direction and have a look at this great video by St Marylebone School which vividly puts the case for the importance and validity of Arts in the curriculum. The first place to look is on the Black History Month 2015 websites: Black History Month 2015 and Official Black History Month UK. There is lots of information on events and plenty of ideas for lives to celebrate. Why not explore the music of Scott Joplin or listen to the music here. Learn about the Blues here and at our blog. If you’d like to read more about our ideas for Black History Month here at MWC, visit our Early Years and Primary Schools page and our Secondary Schools page. As MWC develops our own Spotify Playlists series, we wanted to help you get the most from the listening resources. While music listening can be a pleasant passive hobby, active listening is a valuable skill in all areas of life, socially, in the work place, as a musician or non-musician. Have you heard the piece before? Or have you heard something similar? Is the music fast, slow or a medium speed? Is the music loud or quiet? What mood do you think the composer wanted to create? What instruments / voices can you hear? Is it an ensemble? Does it feature soloists? Did you hear the music from the beginning or somewhere in the middle? If there are vocalists, can you understand the words? How many beats in a bar? Is it the same throughout the piece? Are there melodies or rhythms that keep returning? Is there a clear melody and accompaniment? Is the melody always played / sung by the same instrument / voice? What do you think the music was written for? Dancing, singing, part of a larger work, programme music? These questions and explorations can be taken as far as you want. Consider using the music as an inspiration for artwork, creative writing and music composition, or using the idea of analytical listening to inspire discussions about teamwork and communication skills. A festival doesn’t have to be a multi-million pound event full of mud, music and wellies; it can be a great way to engage with the local community and to give students a focus to their work. So how do you go about hosting your own festival? MWC’s Maria has worked extensively in music management. She has organised events in a range of venues such as the Royal Opera House, Hatfield House, St Albans Abbey and even the Louvre! She has put together some top tips on how to create a fun festival in your school or club, all with minimum budget and planning! Consider whether your festival will take place on one day or whether it should last for several days or even a whole week. What else is going on that week? Is the venue or hall you need available? Think about the resources you’ll need. What musical instruments, sports equipment, arts and crafts materials do you already have? Do you have access to other equipment you can borrow? What instruments or sports equipment do the students have? Will the festival celebrate activities that you already do well, or will it be an opportunity to introduce new activities? Will there be prizes, or is the focus on taking part? What will be the Grand Finale? Will you hold an art exhibition or a concert or a play open to parents? A sports day? A party? Encourage support and involvement from the local community. Will local restaurants or caterers donate food? Will a local art shop donate art and craft supplies? Could a parent or local artist give a talk or a demonstration? 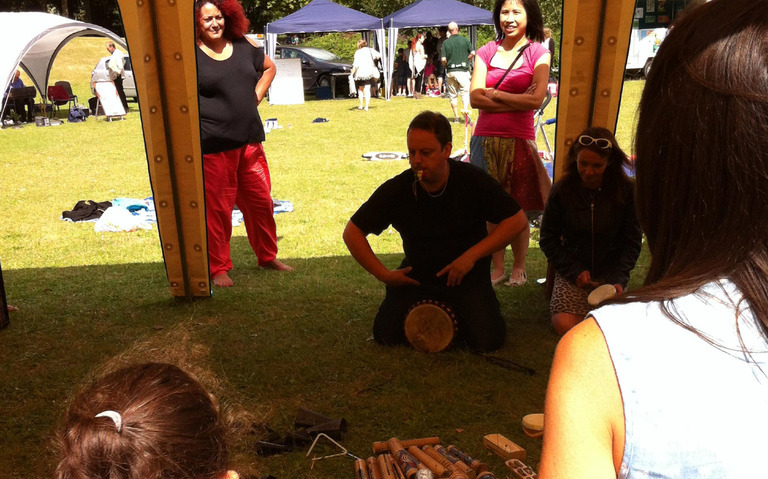 Contact us now to discuss workshops for your Festival or Arts week. Encourage students through performance opportunities; school concerts, assemblies, parents evenings, class recitals, music competitions in and out of school. Find out about funding bodies such as Future Talent who offer funding to help Young Musicians as well as performance opportunities and mentoring. Find out about performance opportunities locally. Music hubs, youth orchestras and bands, amateur orchestras, bands, choirs, dramatic or operatic societies, music clubs or societies are always keen for new members and young people are often extremely welcome. Find out about national performance opportunities. The National Youth Orchestra, National Youth Wind Orchestra, CBSO Youth Orchestra, Liverpool Philharmonic Youth Orchestra, Hallé Youth Orchestra and Young Sinfonia at the Sage, Gateshead are just some of the high level ensembles available to talented students. Recommend recordings on Spotify or You Tube. Recommend performances they might like. Live concerts such as the BBC Proms often have tickets available from £5, and orchestras such as the Berlin Philharmonic have a wonderful series of webcasts. You can sometimes even watch the Berlin Philharmonic, the New York Metropolitan Opera or performances from the Royal Opera House at the cinema. Encourage students to attend events such as Rhinegold’s Music Education Expo, an annual opportunity to explore the options in music education, workshops and masterclasses with visiting tutors, or any other music-related events they can get to. Online resources can be very helpful. ViolinSchool is a great place to find violin-specific tuition support and information, YouTube has a wealth of masterclasses with top instrumentalists, often in manageable chunks, but sometimes full-length videos of an hour or more, and websites for music radio stations and magazines such as Classic FM and the BBC have a huge amount of musical information for enthusiastic learners. Be wary of recommending online instrumental tutorials until you have checked out the quality though. There is a lot of bad teaching online and you have to sift a bit to find the most valuable output. Consider the dates of other local events such as other school or music centre concerts or concerts by local amateur groups. 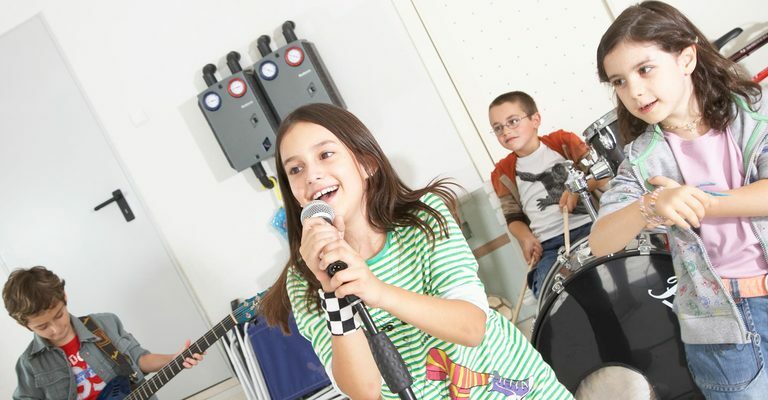 Many musical children may be involved in more than one music group, and your audience can’t be in two places at once. Think about how parents, friends and supporters will book tickets. Will they buy them in person at the school office, through a printed booking form, a contact form on the school website or through an event website? The easier you can make it for people to get their tickets, the more likely they are to come. Think about refreshments for the event. Can you get sponsorship from a local business for drinks and snacks, or will a local café or pub come in and run the catering for you? Perhaps you can ask for volunteers to help run a drinks table or add a small cost onto the ticket to include a glass of wine. Will you use the event as a chance to fundraise for the school or community group? Fundraising can be done through selling tickets, asking for donations, selling programmes, selling advertising space in the programme or even selling school merchandise. If you’re asking for donations or sponsorship, make sure the fundraising clearly benefits the performers. You could use the money raised to buy new equipment for the music or performing arts department, or even to cover the costs of a tour. Do you have enough parking for all the audience members? If not, could you encourage car sharing, check with local residents if people can park across their drives for the evening, use the school mini bus to collect people, or see if a local taxi firm or mini bus company will provide transport as a form of sponsorship? Read our blog for more ideas about how to organise a Christmas or End of Year concert. 1. If you have access to a mobile or tablet, there are some great free music apps available. Music Sparkle is a fun app with a range of free instruments to play plus backing tracks and finger drums offers the chance to play a finger drumkit. Virtuoso is a good piano app with a range of piano sounds plus the option to have 2 keyboards at the same time allowing you to play duets. 2. The BBC Ten Pieces website is a valuable free resource with tonnes of lesson plans, videos and listening tools appropriate for both Primary and Secondary. And June 15th is BBC Music Day – a perfect excuse to explore the site. 3. The San Francisco Sympphony Orchestra has an informative resource about orchestral music called Keeping Score. 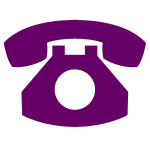 The website includes information about composers, interactive games exploring composition techniques and inspirations and fascinating historical insights. 4. Musescore is a popular free music notation/composition software featuring many similar functions to Sibelius without the cost. It can be used to prepare, edit and preview scores and parts, to listen back and to download printable files - perfect for students who want to work on compositions at home where they may not have access to specialist software. 5. And of course, we have to mention the MWC blog! Every month we set out to share information, ideas or opinions on topical music education issues. 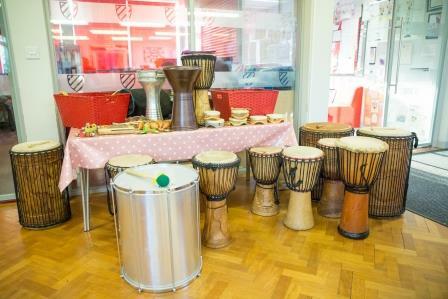 Moving instruments around the school for rehearsals, performances or lessons can eat into time when your students could be playing. Could you set a system in place that means your students take responsibility for ensuring the instruments are in the right place at the right time? Keeping the music spaces tidy is difficult when students like to use the areas to create or just hang out. Set standards in place so that students ensure practice rooms are kept clean and clutter free. It is a privilege for students to have music facilities – teach them to appreciate their space – and to understand that tidy spaces actually help the creative process! Organising concerts and shows can be overwhelming. Do you have students or keen parents who would help sell tickets, photocopy programmes, put out and put away chairs, serve drinks in the interval? You are not imposing on people by delegating tasks - you will actually give people a real sense of achievement and enjoyment from having been part of a successful event. Do you have parents, instrumental teachers or school teachers who are amateur musicians who could help students get ready for concerts – to oversee rehearsals, accompany students, tune instruments before performances? Again, people like to be involved, particularly if they are music lovers. Link your performance to fundraising. Could the concert be a fundraiser for the PTA or a local charity? If so, what help can they give you? Could older students organise, conduct, source music or write arrangements for an ensemble such as choir or orchestra? This can give students a great sense of achievement. Make a clear plan. When you begin organising an event, plan it thoroughly, working back from the performance you want to achieve and including all of the steps that will get you there. By planning in advance, you will find it easier to delegate and involve others, as you will be able to discuss your needs in plenty of time. Nobody will be rushing to the photocopier to print programmes five minutes before the concert, your event will be well attended and the performers will feel confident in their preparation. Make time to ask your students to feed back on events and concerts. If you are wondering if all the hard work was worth it, hearing how the work has impacted on the students can really boost your morale and help you judge what sort of event to work towards next. Asking students for feedback also engages them in their own experience. By verbalising or writing down how they felt about the performance, students will process and learn from their own involvement in a deeper way. 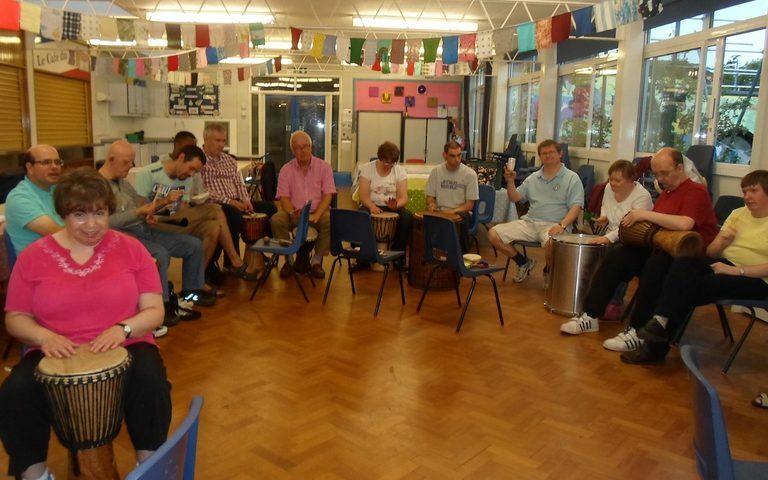 If you have any experience, ideas or stories about time management and building a positive music department we’d love to hear them and share them with our colleagues and friends in music teaching. Get in touch with us today and let us know how it works for you! Singing releases feel-good chemicals such as endorphins into the brain, lifting the winter blues and relieving stress. It’s great physical exercise, raising oxygen levels in the blood, encouraging deep breathing and giving the lungs and facial muscles a workout. It’s good for you mentally and it’s also a really great way to communicate and build a sense of teamwork. You will be more conscious of your breathing when you sing than you are normally. Allow your lower abdomen to relax so you can properly fill your lungs. As you sing, contracting your abdomen in a controlled way will help support the breath. Stand, feet hip width apart, and feel the floor with your feet. Raise your big toe only, and then release. Feel yourself rebalance. Next, gently lean forward, hanging down, with your knees released. Gently roll back up the spine to standing and continue to raise your arms to the sky in a big stretch. Bring your arms down to your sides, and place one hand on your belly, below your tummy button. Breathe in. Next, blow out candle an imaginary candle. Feel how the lower tummy follows through. Try this a few times. This is where breath should originate for singing. Stand your group in a circle and play a game, challenging each person to make a sound entirely different from the previous person. You can make whoops, screams and other silly noises. This is great fun and really helps get past the shyness, fear and even emotional discomfort that some people feel about singing. You can even develop this into a piece of music by laying it over a pulse created by clapping or stamping and having someone lead different combinations of individual sounds. Don’t label yourself or any of your participants as tone deaf. 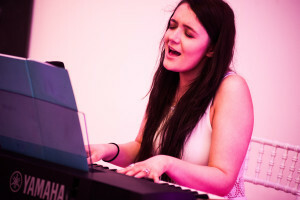 Many people lack confidence and practice at singing, particularly as adults, especially if their singing was criticised when they were children. If you’re running a workshop for adults it might be an idea to spend some time sharing stories of childhood singing experiences, good or bad. Make this into a game that will make people laugh and unify the group. 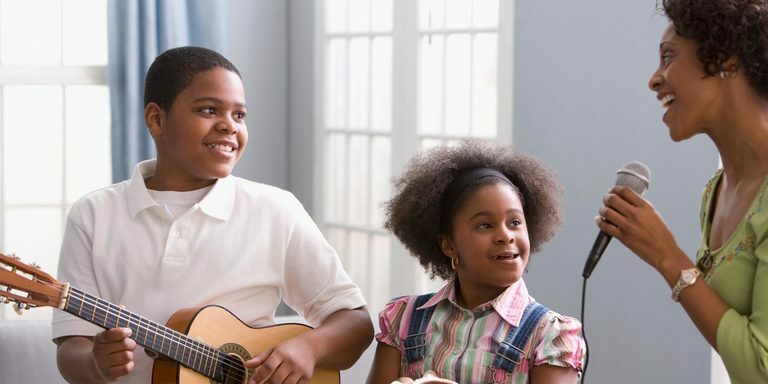 If you’re working with children, get them to help make up a song about things they love doing. Include actions and drawings to engage all the senses. Try some note matching exercises. Instead of singing or playing a note and then asking participants to match it, ask them to sing a tone first, which you then match. Your participants are then effortlessly singing in tune with another person, perhaps for the first time. Remember, the less ‘perfect’ you can make the singing in any of these games, the more inhibitions will drop away. 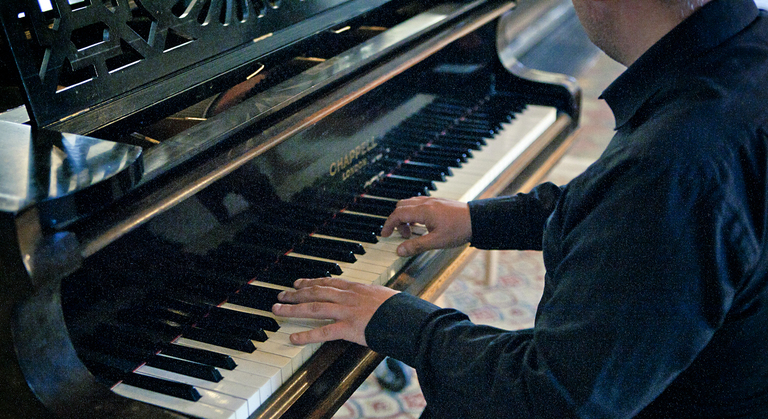 Focus on good breathing and confidence before working on sound or pitch, so you’re working on a level where everyone can succeed. 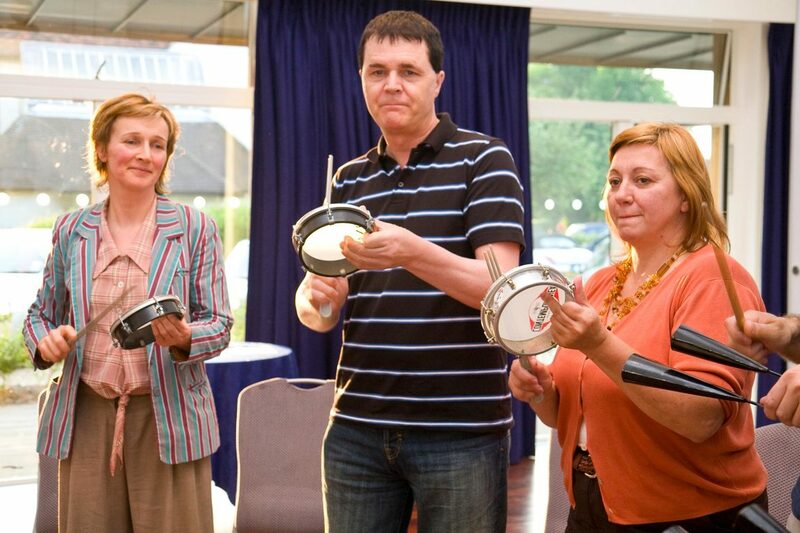 When you work in any group that plays musical instruments, it is important to understand how to look after the instruments to ensure an optimum performance experience for participants. Whilst the care of a violin is obviously different to that of a piano, there are some considerations that apply to all instruments. Here are MWC’s top tips on looking after your musical instruments. Your instruments must be stored in an appropriate space where they are not too hot or cold, and will not be knocked over. Most instruments are made from wood and metal; some have strings at high tensions and many will react to extreme temperatures. Put the instruments in a place where there’s an even temperature and moderate level of humidity. Never pile instruments on top of each other. Drumheads may look solid but they can be easily damaged if heavy or sharp objects are put on top of them. Violins have bridges which are easily damaged, woodwind instruments have delicate keys, and metal instruments can dent, affecting the tone. 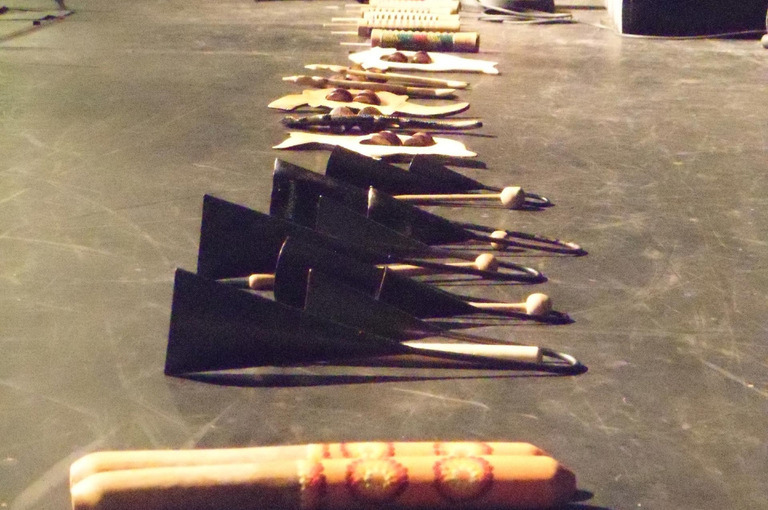 Use the instruments regularly so students know how to use and treat them. This will mean the instruments work better, as the more an instrument is played, the more its materials open up to vibrations and resonances. MWC workshop leaders often discover a musical instrument trolley covered in dust at the back of a cupboard. Don’t let this be your cupboard. Orchestral instruments need to be tuned whenever they are played. This needs to be done by someone who understands the instrument otherwise it can be easy to cause damage. 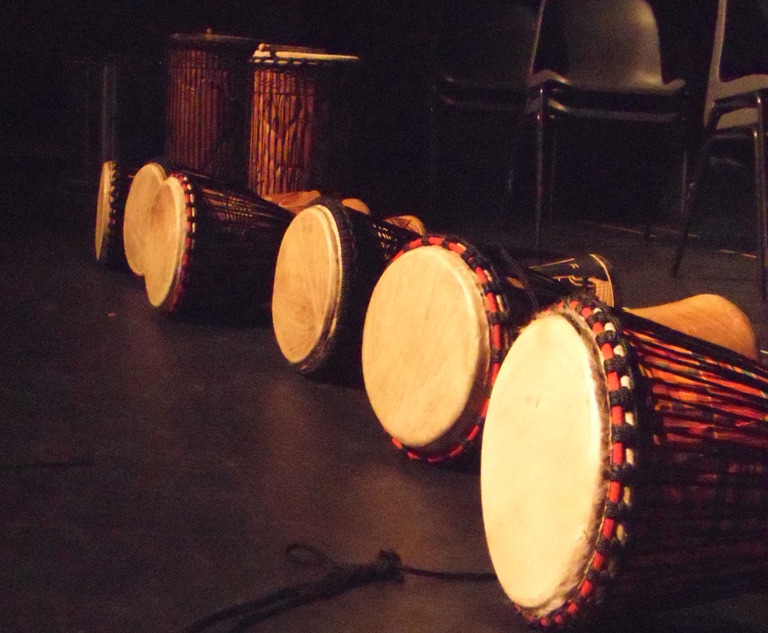 Drums such as snare drums, tambourims and djembes also need tuning. Ask someone who knows how to tune drums to show you how to do this. Always use a professional instrument repairer. You should never try and fix a damaged instrument yourself unless you are experienced in repairing instruments. Instrumental teachers report horror stories of cello bridges glued to the instrument, trombone slides fixed on with a nail and violin bows repaired with Sellotape. DIY repairs can cause permanent, irreversible damage and leave the instrument unplayable. If you don’t know where to find your local repairers, visit the website of The Association of Musical Instrument Repairers to find experts in your area. 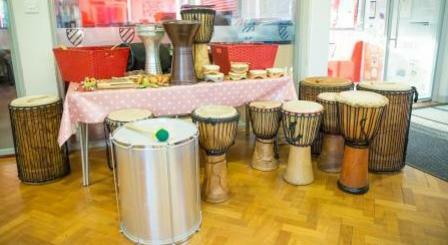 Why not create a fantastic group activity with these Top Tips for building junk percussion Samba instruments. Make and decorate your instruments then use them to make music! 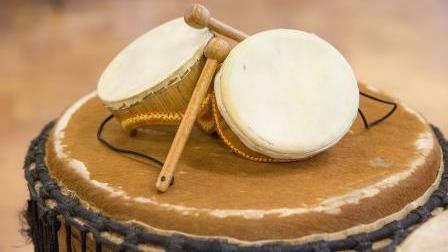 • Tamborims (small drums) can be made out of round plastic tubs such as those that contained potato salad or coleslaw. Make sure the tubs are clean before use and decorate them for a Carnival feel!